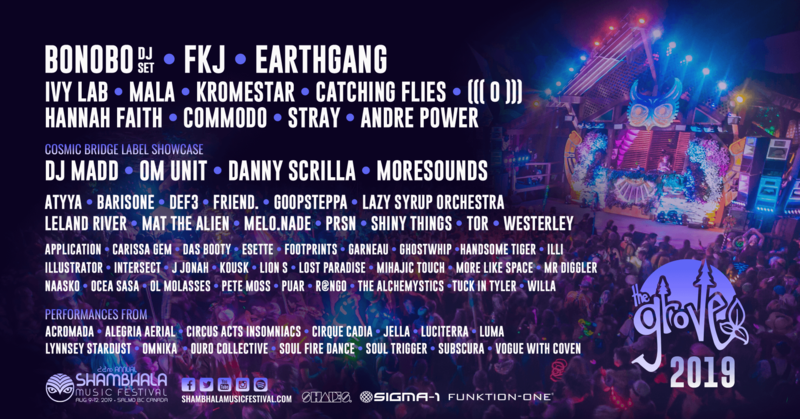 Shambhala Music Festival and The Gnomiess are pleased to present the 2019 Grove Stage Lineup. Featuring a wide selection of sounds from around the planet, containing shades of everything from dubs to hip hop to house. Dig deep and you will find a wealth of new faces, and a squad of returning favourites. Follow The Grove Stage Facebook Page for artist highlights. 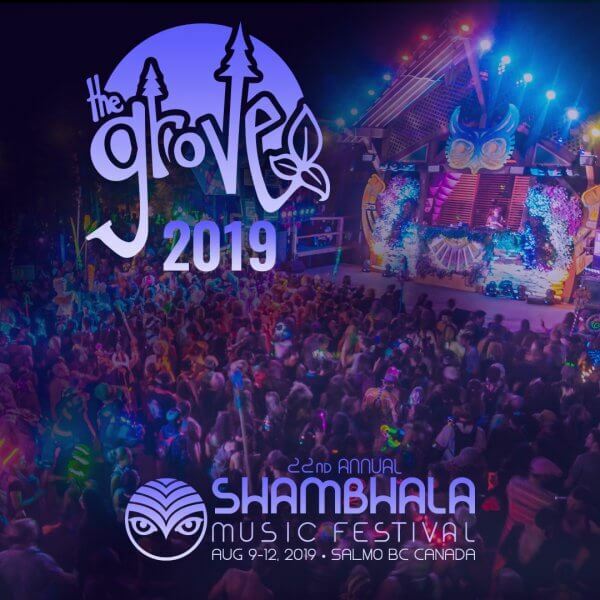 Listen to The Grove Stage #Shambhala2019 Playlist and prepare to enjoy some of the widest variety of musical heavyweights at one stage.